The Lock Locksmith Tech team has been serving the Bronx, NY area for over a decade successfully. We also specialize in providing different range of locksmith services like commercial and automotive locksmith services. Additionally, the emergency locksmith service and 24-hour mobile locksmith services combined together are an added bonus to the customer. We have a fully quipped fleet of vans as a part of our mobile services which serves customers at their doorstep, with the latest locksmith tools and techniques. Lock Locksmith Tech works throughout every season of the year, even on holidays. Locksmith situations occur more frequently than we think they do. That’s why it is good to hire a professional locksmith beforehand! Over the years of being in the business, we understand it as a fact that our reputation rests on how our locksmiths work and how satisfied customers are with our work. That’s why we employ the most expert workers with qualifications of the highest level, and more than that, we hire workers who are rich in practical experience in the field. We provide quality work and services, day in and day out, and have technicians who can solve the most complex lock issues. We do all this at cheap rates, making us the most affordable local locksmith around Bronx, NY. Our work does not involve holidays, not because we have ample time, but because we have a passion to help people, and we know that a locksmith situation may arise any day, irrespective of it being a holiday or not. 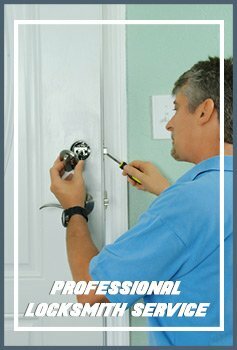 We are sure to deliver to you the best locksmith service in Bronx, NY area. So go ahead, hire us, and that too at affordable prices you won’t believe!